School Excursion – A New Land: Port Phillip District 1830-1860. Imagining Australia: (Australian History, VCE Units 3 Area of study 1) is an exciting and recent text addressing the requirements of the new Australian History study design. We have designed a special tour to support this study area, combining the elements of two of our tours ie Early Melbourne and our Aboriginal Tour to provide a two hour immersion activity to engage student in the actual physical landscapes and sites of the early settlement, the historic events and personalities and to debate and discuss the arising issues. We utilise many historic images and Indigenous foods and artefacts. Our excursion in the Melbourne CBD is in the former Maritime precinct near the Yarra River usually walking from the early village around the Customs House to Federation Square . 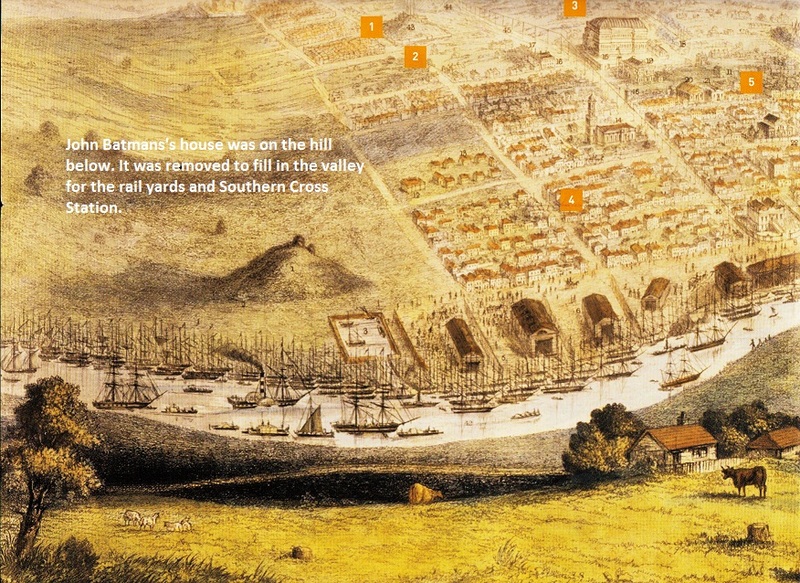 It deals with the changes that took place in the Port Phillip District (later Victoria) from the time of its permanent European settlement in 1835 until it had experienced the full impact of the discovery of gold 1851-60.. Intertwined with the European settlement of the Port Phillip District during this tumultuous period was the relationship with indigenous people and how the economic practices and cultural views of both groups differed. We explore using images and indigenous resources how a desire for land was a significant motivation for immigration to the Port Phillip District/Victoria between 1834 and 1860 and evaluate the extent to which the transformation of the environment due to pastoralism and gold impacted on Aboriginal people. Humanities Program Coordinator, Phoenix Community College.